them to you for free. Pick five wedding bands. We'll send them to you. Choose the one you like. No muss. No fuss. No heavy-handed sales pressure. Know your size and style? Keep things simple: Pick five wedding bands. We'll send them to you. Choose the one you like. No muss. No fuss. No heavy-handed sales pressure. 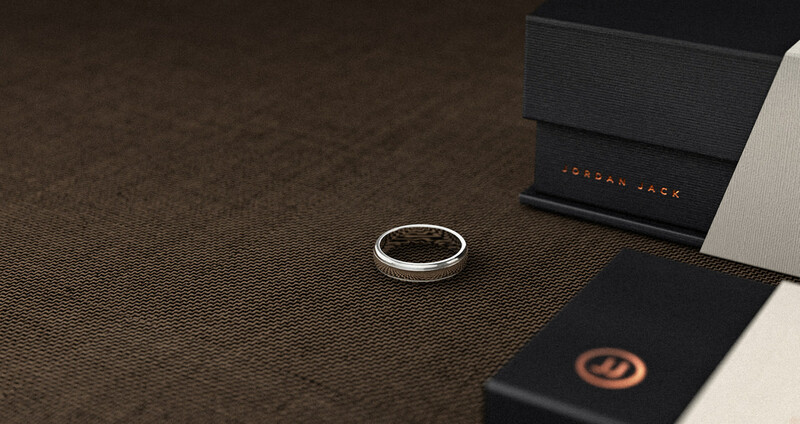 Choose 5 of your favorite artisan-crafted Jordan Jack wedding bands. We’ll send them to you for free. Use our Ring Sizing Guide before ordering. Live with your rings. Explore the fit and feel. You have three days to decide which ring(s) you want to purchase. 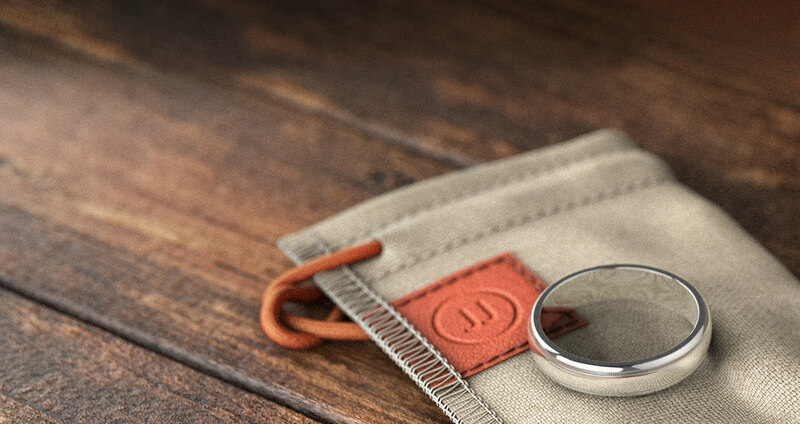 Login to your account, checkout, and your selected wedding band(s) will arrive within days. Saying 'yes' to forever-after can be simple. Nothing feels more natural – more right. 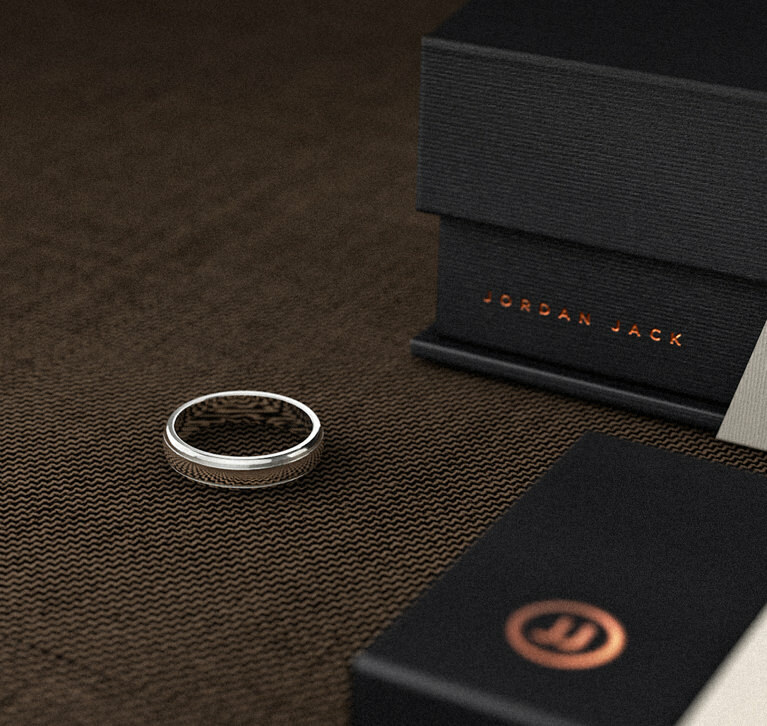 At Jordan Jack, we understand that the road to 'I do' isn’t always as easy. 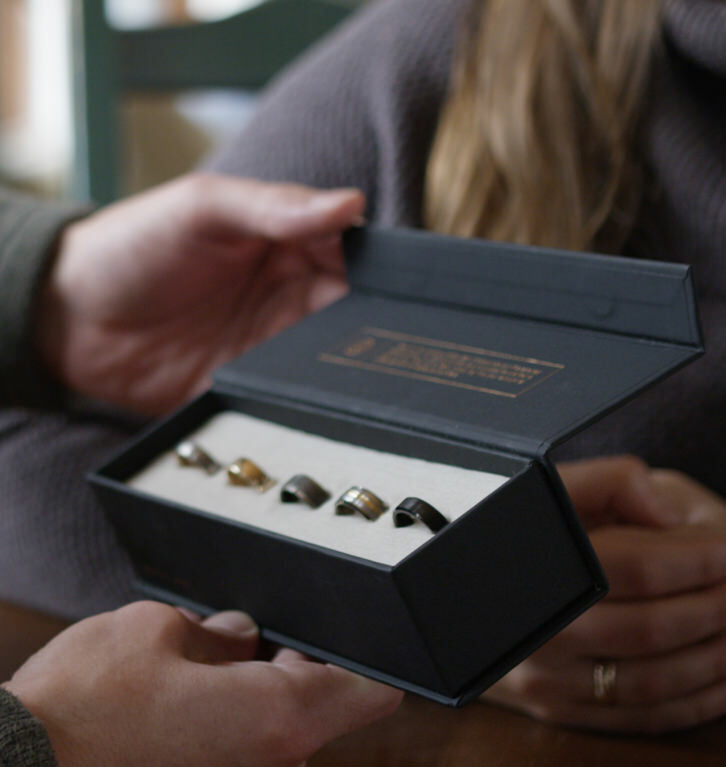 This is why we’ve reinvented the wedding-ring purchase process. 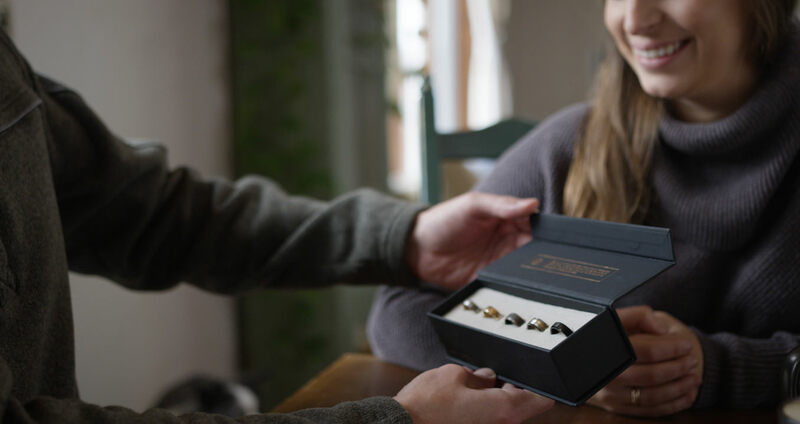 We’ve removed the stress and sales pressure and put the power of choice in the hands of engaged couples—making for an easier and more enjoyable path to the perfect wedding band. Keep it simple. 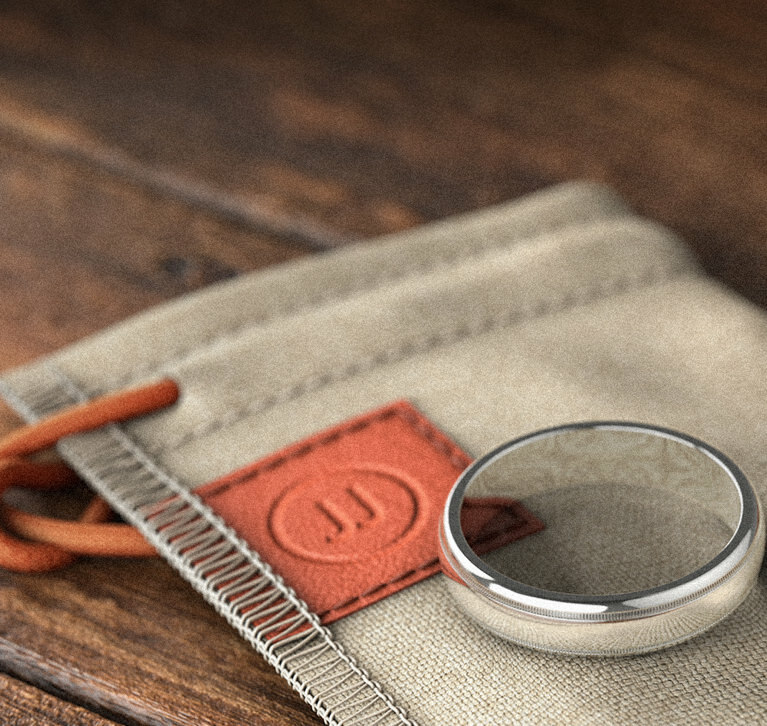 Find your perfect wedding band by selecting 5 for a Home Try On. Need some inspiration? Check out a few of the recently purchased boxes to get you started.